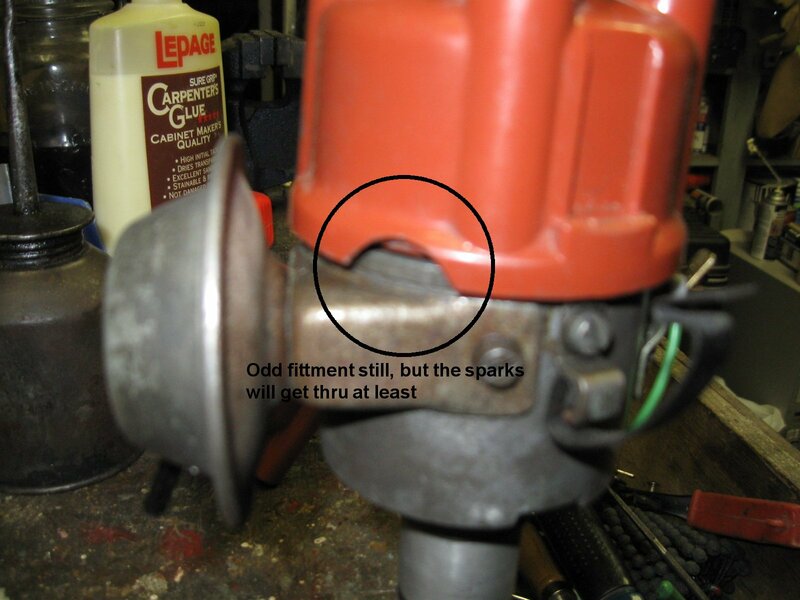 Anyone ever measured their ignition condenser ? I measured all the ones i have, among them new, old, nos,.. They ALL fall bellow the BLUE BOOK minimum value of .2uf ±10%. Then i came to a e21 condenser and it measures 0,22uf dead on. This one is a 1-237-330-295, with the square base so it does not fit on regular 02 distributor. They look physicaly the same so i would like to know what is theirs differences. Also, from a experience point of vue, what is it preferable to use, a low value one, but still within specs, or a high value, again still within specs. Also, its been stated that the condenser value is matched with the coil characteristics...anyone would add details on this ? mainly it is on a 74' automatic with the resistor in line into the wire, but ultimately not necessary for a specific distributor. I am just gathering global info. edit, i know one mounts to the left and the other to the right, they bot fit actualy on the distributor so it may be the only differences thus the part number. I guess they are all rated at 0,2uf ±10%. I have seen them as low as 1.1 mf. I think the are very loosely toleranced. Yea, I did many years ago, but only because I just bought my first fluke 83 or 85 meter & it had cap function & duty cycle & I had curiosity. I think they all measured low also. I remember about that time I installed Allison XR-700 & Measured the duty cycle with the same meter, Duty cycle is very close measurement of dwell (within a few percent) & it stayed consistant reading of 80 through the rpm range. 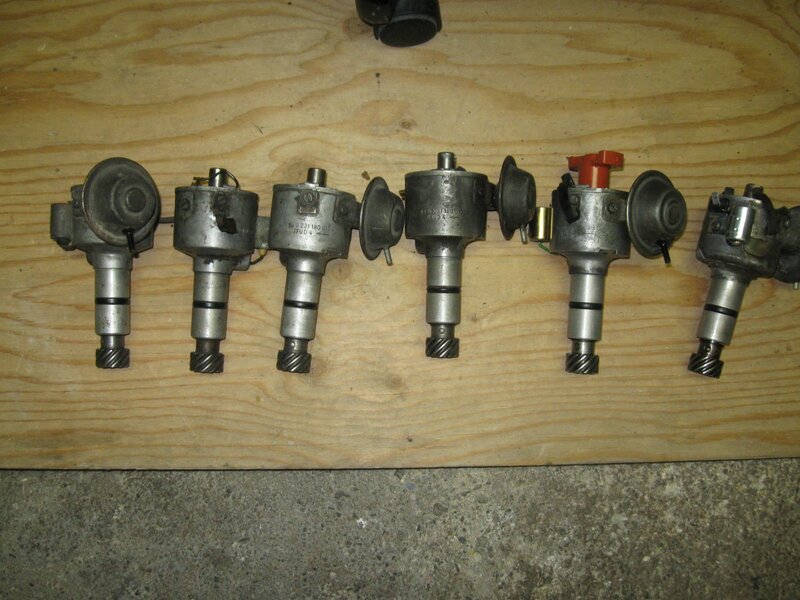 I also remember the local BMW independant mechanic I used to use way back when saying the 320i condensor & a different coil was all you need. He frowned on the XR-700 & said, what's this for ? So I think the E21 condensor might be the ticket. So if your tweaking a stock setup for best performance, maybe make a current transformer with a few turns of wire around the positive (primary) lead of the coil, into a 1 meg or 500k or maybe less value resistor & hook up to a scope. Compare the max current with different value caps. As you know, it is a "tuned LC circuit", so all you can change is a coil or a cap. 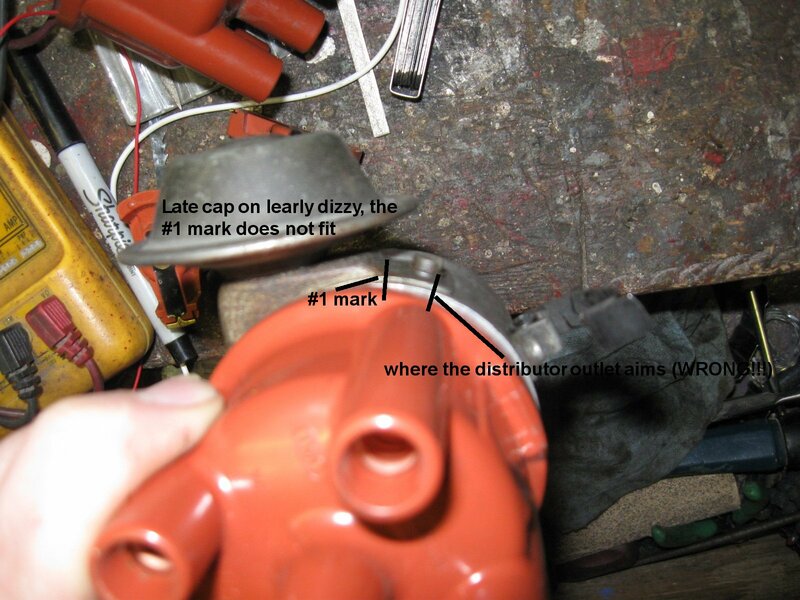 As far as those burned spots towards the edge on the rotors, I've always seen that off & on & I always thought it was slop from the wear of the distributor, and/or the normal occurance from the advance mechanism going back & forth. thanks for the reply, as soon as the weather will permit it i will throw some tests for sure. But on a positive note, i found out WHY my rotor had such illogical burned patern on its edge, i simply have the wrong cap. For an obsucre reason, this 74' dizzy seems to require the early type cap that are not "centered" from the clips, but is slightly rotated, even if the base has the notch in it. There is a mark on the base where the center of the rotor points to whic is #1. The later cap is not pointing there at all. And, after looking at this all more carefully, the spark actualy always "spark" at the same location on the rotor, since the rotor is at the same reference than the cam lobe is on the points. The only time where it is different is when there is vacuum advance or retard. So it is totaly independant of the mechanical advance characteristic, only vacuum affected since the points move. just to support what i am saying. pictured is both cap, next to each other. 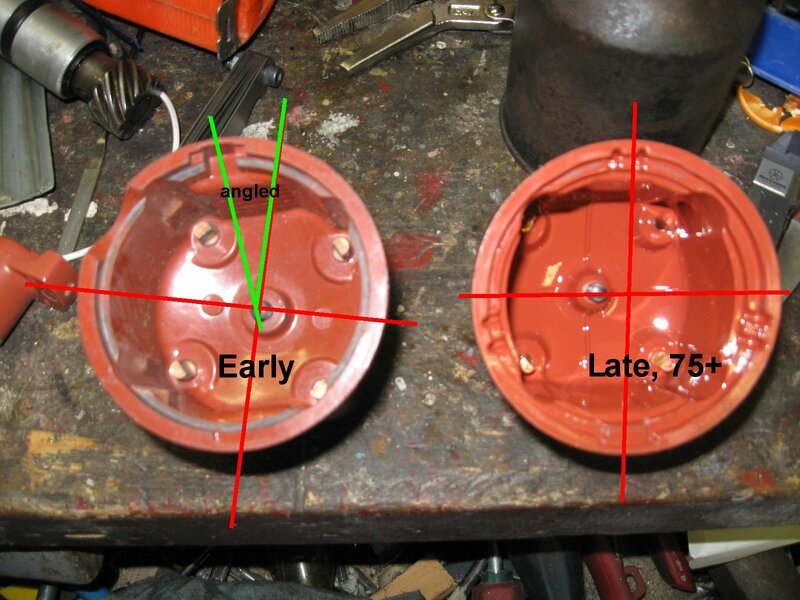 the one on the left is the early style, with the offset in its base once cliped on, and the right one is the late style, centered, that i used during last summer, that was causing the "fall over" spark and thus burning only on far left on the rotor. I knew the differences very well, but got confused with that 74' Auto spec dizzy, because it has that notch in its base to accept the late style cap, so i didnt bothered, i told myself, hey, it has the notch so just get the late style cap...WRONG !! There is still an odd fittment with the old/early style cap, the half moon notch that normaly falls over the connector now ends near the vacuum unit. Could it be possible that they made a third style cap for the reverse type points with vacuum retard ?? i think it is unique to 74' iirc. I have like 15 different dizzys, this one is the only one with this odd fitment, and sure enough its the only one that is listed for the 74's Automatics with vacuum retard. But at least i am good to go now, i deciphered the rotor burnt issue. Just bypass your cap with a metal film/poly non-polarized type cap of say .20 UF of high voltage, (Solen is a good cap and cheap), a trick from old school tube amp restorers. Just my 5 cents.